Cast Iron Cookware – What’s Best About Cooking with Cast Iron? 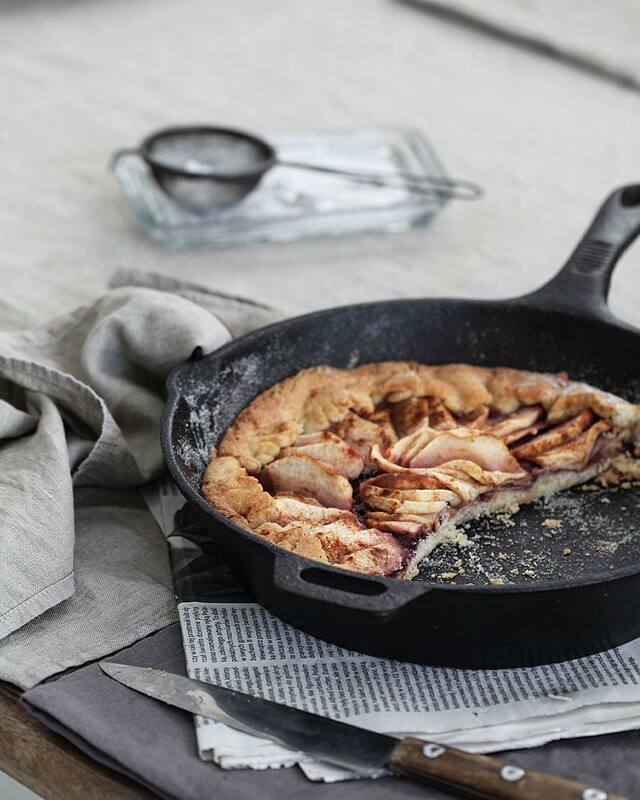 It seems that cast iron cookware has experienced a revival of interest in recent years. With all the more modern cookware available today, like stainless steel and aluminum alloys for example, why would a modern-day chef still choose cast iron cookware to prepare his favorite dishes? Let alone a cast iron dutch oven which is much heavier than other cookware. There are some reasons apart from nostalgia that explain the popularity of this ancient cooking device. 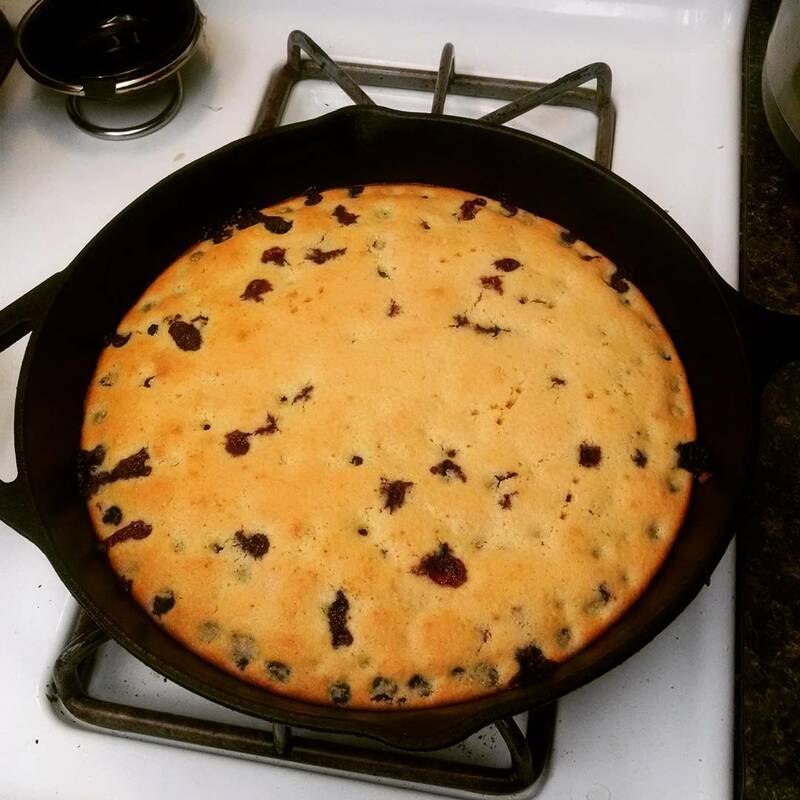 The main reason for using cast iron cookware (dutch ovens, skillets, etc.) is the formidable heat retention quality of cast iron. Iron has superior heat retention compared to all other materials used for cookware. Only copper comes close but is much more expensive and reacts to acidic foods. The seasoning of a cast iron pan can slightly degrade when acidic ingredients come in touch with it, but this is not really an issue. The pan can be seasoned again easily. Over time the seasoning of a cast iron pan becomes a fantastic nonstick surface, which can compete with any nonstick layer. This does take time. An important note to mention, is that some mild soap will not destroy the seasoning, even though this is often said. Do not put cast iron cookware in the dishwasher though. 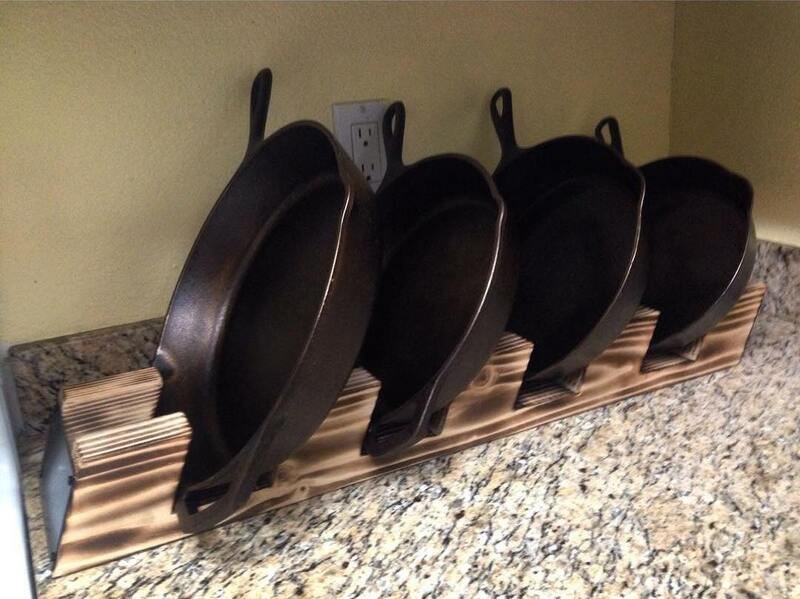 Cast iron used to be common in the kitchen. These days you see more Teflon. Trouble is, Teflon wears out in a relatively short period, even if you take good care of it. Cast iron, on the other hand, can be handed down from generation to generation. I should know. One of my cast iron skillets belonged to my grandmother. It’s my favorite. Did you know that cooking in cast iron can actually increase the iron content of your food? This is particularly true of acidic foods, but it can help with others as well. In recent years, warnings about putting preheating chemically treated pans in a hot oven have been regularly heard. With cast iron (enameled or not) cookware you do not have that problem. Cast iron goes effortlessly from the stove top to the oven; cast iron provides the chef with a completely safe cooking tool. There is, however, the aspect of maintenance which is the reason many shrink back from using cast iron. A standard cast iron pan needs seasoning to protect it from rusting. Iron left to itself rusts very easily. But with proper seasoning – a very easy task with some oil – this is no issue at all. 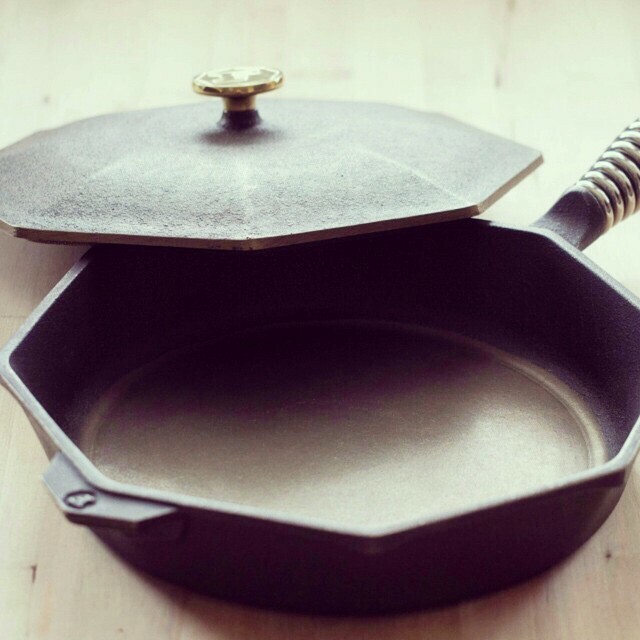 Even so, you can buy preseasoned cast iron cookware; in that case seasoning is not needed. Many would still choose to do this task themselves, it is a good thing to care for your cookware. There is another option: apart from bare cast iron, you can opt for enameled cast iron cookware. Enameled cookware does not need seasoning and comes in spectacular colors instead of the dark black of normal cast iron cookware. More about enameled cookware elsewhere, now a few words about the specific advantages of cast iron as the material of cookware. 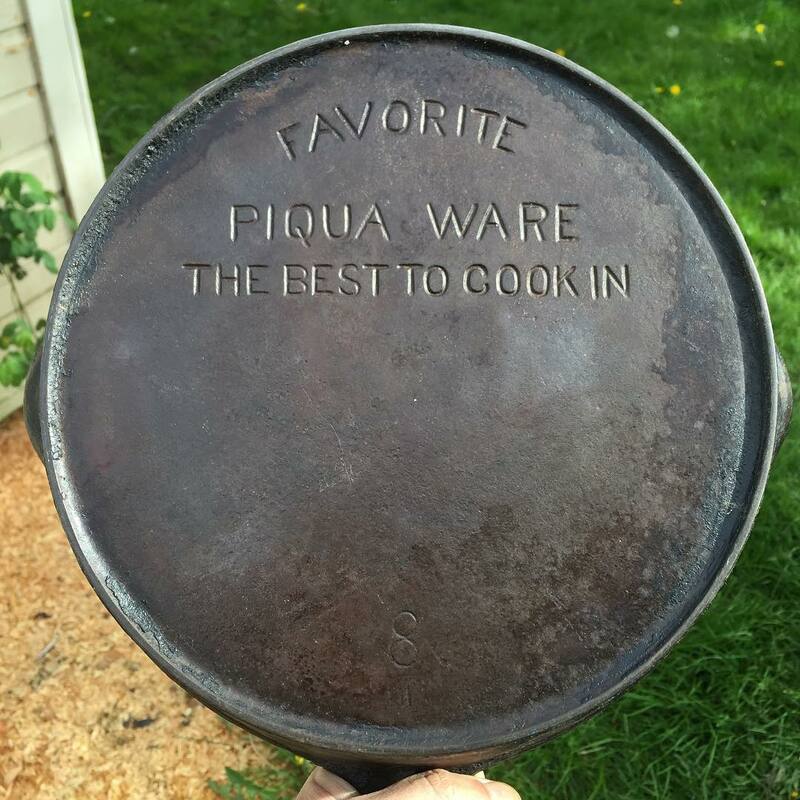 Why then Cast Iron Cookware? Due to the formidable heat retention, the pan stays warm much longer and can heat up much more evenly. This is ideal for dishes that need slow cooking. The temperature is easily controlled, making them precision cooking pans. 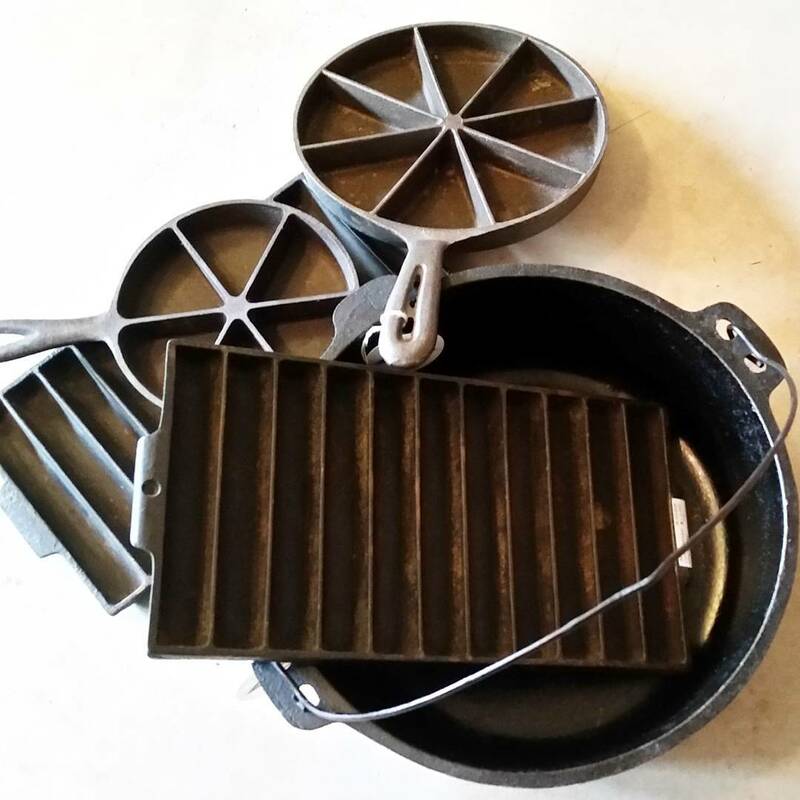 A cast iron pan can be taken from the stove to the oven with no problems, it will not warp and it is easy to clean. High quality cast iron cookware does not have any hot spots, so that food is cooked evenly all over. I used to cook mostly on teflon pans and griddles. Then I started to hear about possible health problems with teflon. I was also getting more into cooking and my teflon pans were getting all scratched up, even when I tried to baby them. I did some research and decided to give cast iron pans a try. I had used cast iron pans before but wasn’t that into cooking and didn’t understand how to properly care for them. I love the primal feeling of cast iron. It takes so much heat, gets hotter and stays hot longer. When you bring food to the table on it, the food stays warm longer. They are kind of the opposite of teflon, the longer you have them the better and more nonstick they become. I can’t imagine going back to teflon now. Is Cast Iron Hard to Care For? Caring for your cast iron can sound a little intimidating. It’s not quite as simple as caring for your regular pots and pans. You do have to give it a little more thought. Rule number one is to clean it promptly, especially if you have acidic foods in there. These won’t harm it as such, but you will have to reseason your skillet if the acid sits for too long. You also can’t let water sit in it for too long, for the rather obvious reason that cast iron rusts. Once again, this is not a complete disaster, as all you have to do is take some steel wool to scrub off the rust, then reseason your skillet. That’s pretty much the only time you should use steel wool on cast iron, by the way. Some people use salt to scrub their cast iron. It works quite well, but nothing really replaces soap and water. Just reseason as necessary. It’s strongly recommended that you heat your cast iron skillet to dry it. A towel can do a pretty good job, but it will still leave some dampness which can lead to rust. It’s pretty easy to put the skillet back on the burner or oven still warm from cooking, and let the heat take care of the water. Coat very lightly with a neutral cooking oil, and put away. Most Cast Iron Cookware you buy now is preseasoned, so this is not a step you will probably have to work on right away. But don’t be surprised if you have to do this occasionally. Once your skillet is thoroughly cleaned with soap and water, heat your oven to 350 degrees F. Heat the skillet on the stovetop to dry it completely. Apply vegetable or coconut oil to the entire skillet with a paper towel. Layer the bottom of the oven or the lower shelf with aluminum foil to catch any drippings. Place the skillet upside down in the oven and leave on for at least an hour. Turn off and leave the skillet in the oven until cool. What’s Best About Cooking with Cast Iron? I’ve already mentioned some benefits of cooking with cast iron appliances, such as it not wearing out and that it adds a bit of iron to your diet. But there are more benefits. 1) Cast iron is extremely affordable. 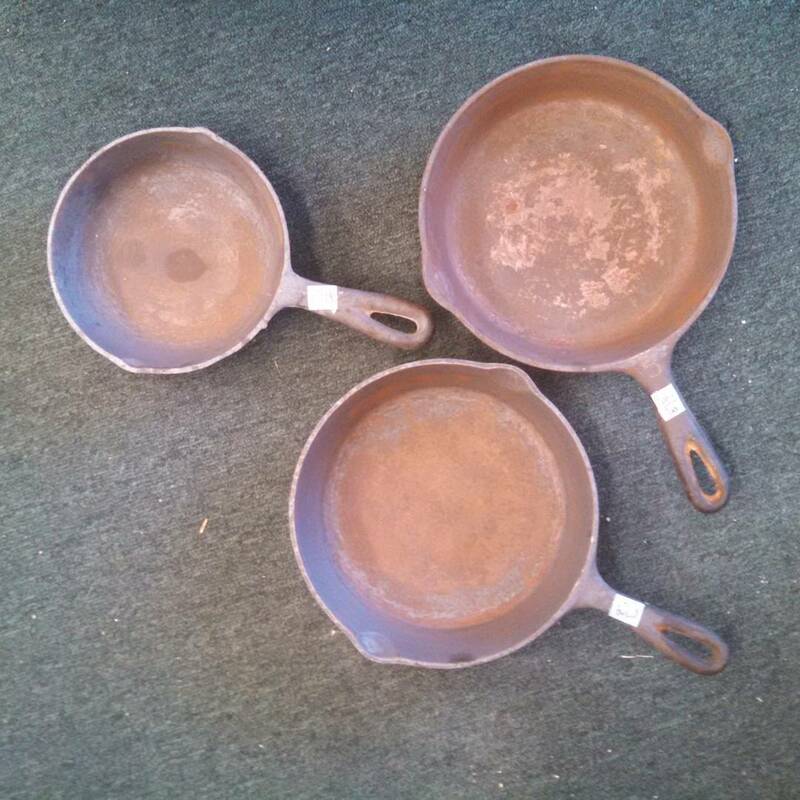 You can get great cast iron skillets, cast iron dutch ovens and more from antique shops, or just buy them new. Either way you’re likely to get a great piece of cookware. 2) Cast iron can be used on the stove top or in the oven. For some recipes, this is really handy. Start out browning your meat on the stove, then add more ingredients and put it in the oven. Very easy and it can save on cleanup. Just be sure that you don’t buy any cast iron with parts that can’t go in the oven. Sometimes the handle type will limit you. 3) Cast iron cookware can be beautiful. 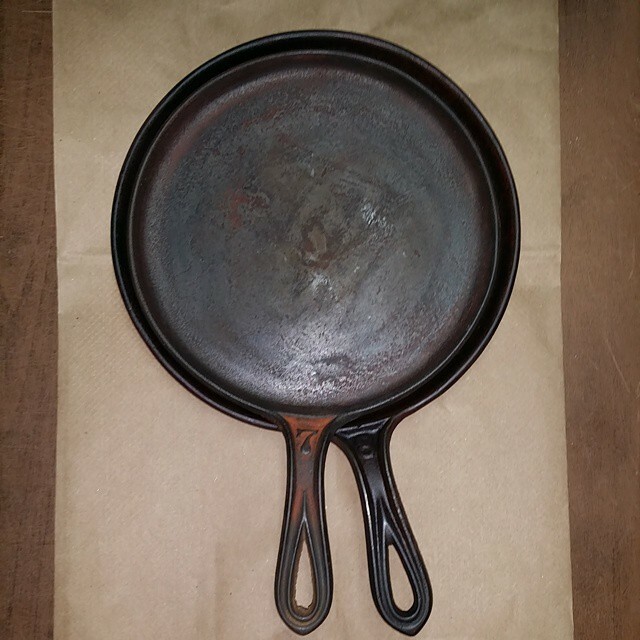 Sure, it’s black if you buy the basic cast iron. There’s a certain appeal to that for some people, but if you don’t like it, go for enameled cast iron. Beautiful colors are available, and you still get some of the advantages of cooking with cast iron. However, you will generally lose the advantage of getting more iron in your diet when you cook in enameled cast iron, since the iron will not actually come in contact with your food if the enamel is on the inside of the skillet as well as the outside.